Today I came across a very interesting art project by Mahmoud Tammam. He transforms Arabic words into artworks that depict the meaning of the words. This is the type of mnemonic that I employ in The Magic Key To The Arabic Alphabet to make learning the script easier and more enjoyable. This works well in the case of individual letters. To memorize whole words, I would recommend using mnemonics based on the sound of the language. E.g. 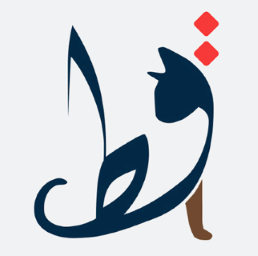 “cat” is “qitt” in Arabic. To recall this meaning, just memorize that the Arabic word “qitt” is close to “kitten”. I can certainly appreciate the artistic value of the project. This entry was posted in Calligraphy, Writing and tagged art, calligraphy, mnemonics, pictogram by ArabicGenie. Bookmark the permalink. Hi! I absolutely love the cat picture! And was wondering if I could have the artist’s permission to have this done as a tattoo? @Len Crews: perhaps you can contact the artist on Behance? I agree, it’s a nice artwork. I stumbled on your website accidentally & am enjoying browsing around. 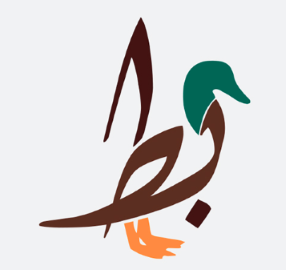 I, too, have a love of all things Arabic (I am American), and have been attempting to study Arabic on my own (the university here too teach it is just way way way too expensive). I love this art project. I’m a huge fan of Arabic calligraphy & this appeals to me immensely. Thank you so much for all the research, time and hard work you have put into this site. Allow me to share please!